Over the past few years, Rochester, New York has shown exceptional growth in a booming industry. With many new breweries opening around the Greater Rochester area, the craft beer industry has been taking over Upstate New York. Looks like, for us, we moved here at the best time. 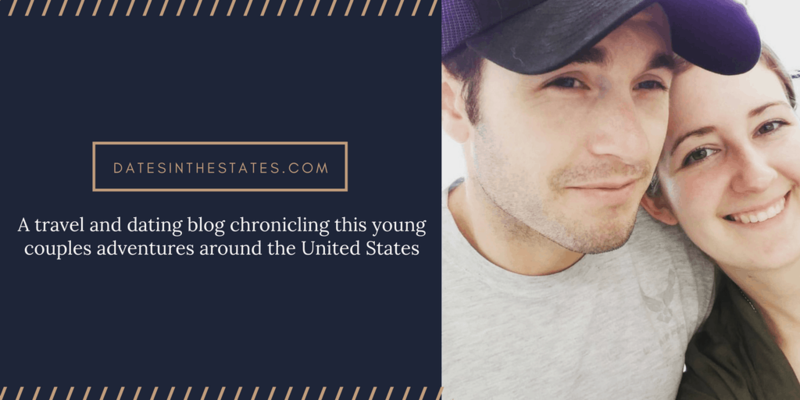 I’m Crystal, the writer and creator over at DatesintheStates.com – a blog chronicling the lives of a couple traveling the United States on a budget. My boyfriend Shane and I love traveling and discovering fun dates to take together throughout our beautiful country. We both live life remotely with our home base in Rochester, NY. I’m a social media manager and web designer and he’s attending online schooling for Exercise Health and Science. With our blog, we love to cover events, try new restaurants, and discover amazing things to do in small towns. 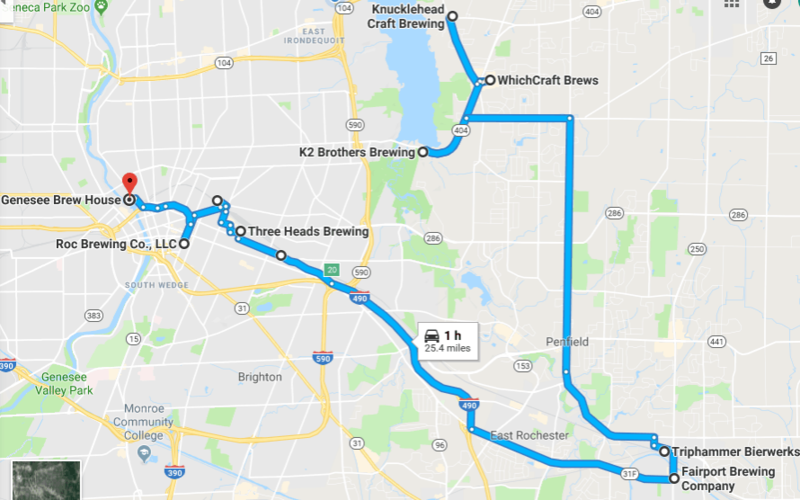 We’ve attended many craft beverage events in the area (they happen all the time here), but we haven’t gotten a chance to actually visit the breweries in person. 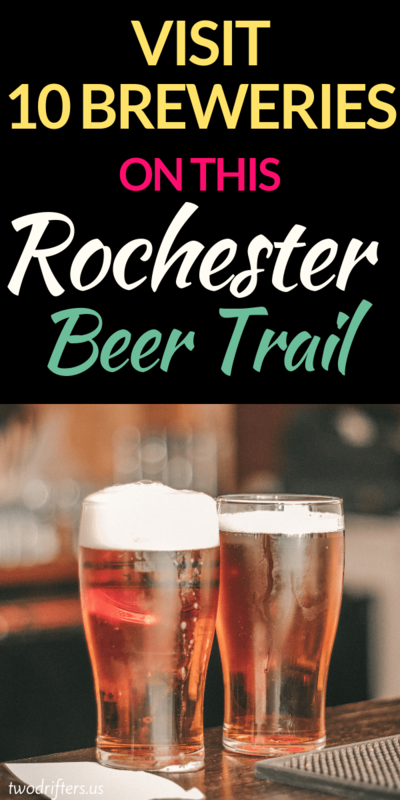 We finally were able to visit a few and decided to put together a fun Craft Beer Trail that you can take when you visit Rochester, NY. This trail consists of 10 stops, but don’t worry – you don’t have to visit all of them in one day! 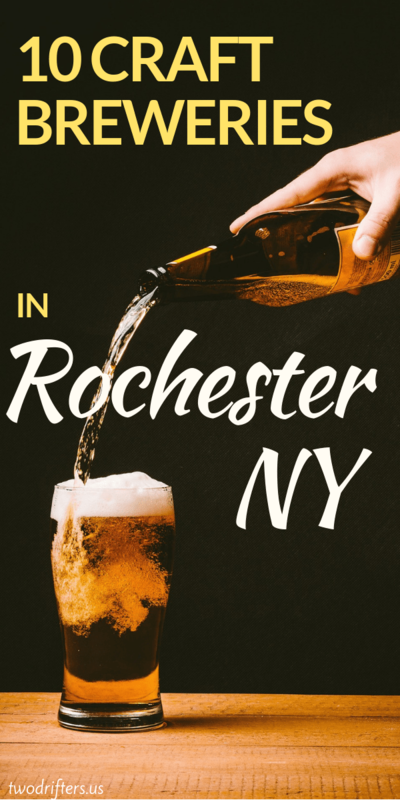 We spread it out so we could really enjoy each of these breweries in Rochester, NY, and we hope you do, too! Our first stop begins the trail in Webster, NY – a town on the other side of the bay from Rochester. The next few breweries are very close to one another so we suggest visiting all three in a row. as Kathy’s Kreme Ale or Tainted Haze IPA. 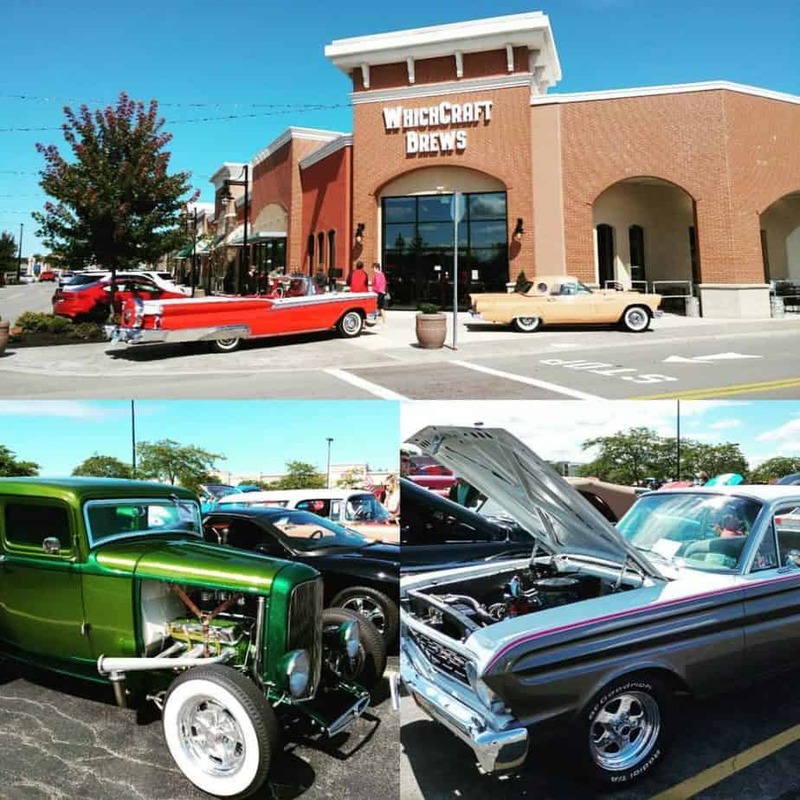 WhichCraft Brews is located in the BayTowne Plaza. Not only is it a brewery and bar, but it’s considered a restaurant, too with a real food truck INSIDE the building. Yes, you order your food at the food truck just as you would on the street. games to play while you drink! They feature 55 taps on draft including the five that are brewed right on the premises of WhichCraft Brews. 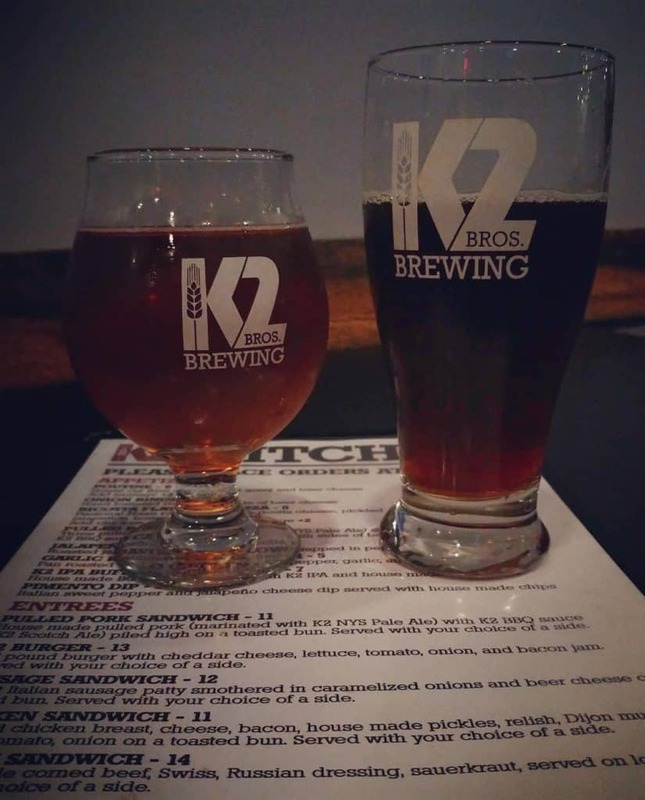 K2 Brothers Brewing is operated by 2 brothers and just recently opened in December 2017. They’ve been doing well for themselves as they just opened a beer garden addition last Summer. They have about 15 beers on tap brewed on the premises and feature great food. It’s a small bar, so some nights you may not find a seat if the beer garden isn’t open. Most nights they have an acoustic band playing and the atmosphere is relaxing. 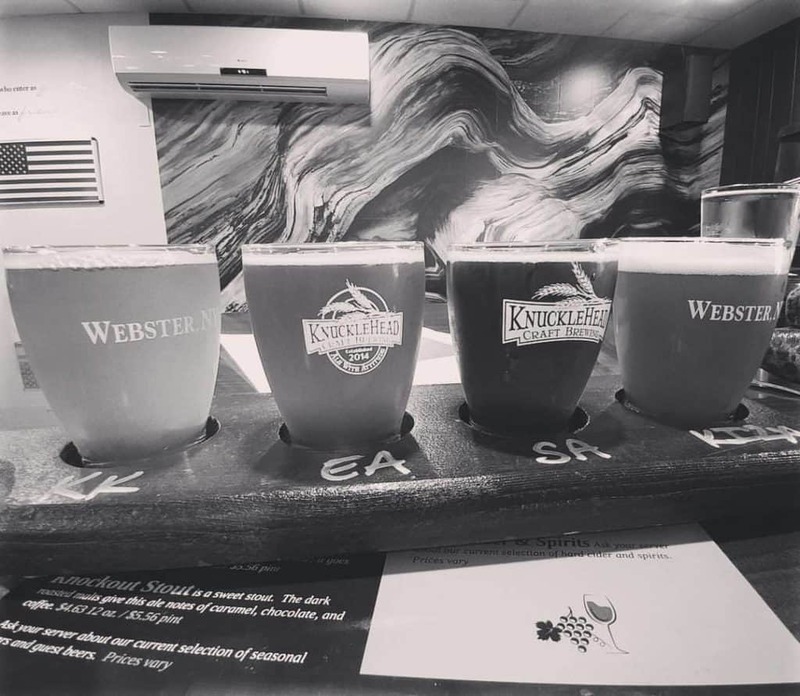 You must try their Jalapeno Cream Ale or their Mixed Berry Milkshake IPA for a unique taste you will only find in Rochester. In the beautiful town of Fairport lies an old warehouse building. It was dark when we arrived here so we thought we may have been in the wrong place. We drove down a long, dark drive until we got to the end of the warehouse. On the doors we saw the sign for Triphammer Bierwerks and sure enough, we were in the right place! This fun brewery features a long bar inside with plenty of seating. Grab a flight, because you’re going to want to try them all. It’s a great place to just grab a bag of popcorn and hang out with your friends. Walking into Fairport Brewing Company, I felt as if I was walking into a little cottage in England. This very small brewery which looks like it used to be an old house in the middle of town. They’ve done a great job preserving the history of the building and using it as a brand for their beer. (I found out while writing this that the building actually used to be an old auto repair shop). Not only can you grab a brew, but they have their own Kombucha, too. In one room is the bar and area for musicians to play, in the other room they have their own tastings you can sample of their Kombucha. I spent most of my time sampling. Bring your dog, grab a beer, and play a board game. Of course I had to put a cidery on the list. Shane is a big beer lover, I on the other hand love ciders and wine. Mullers Cider House is a great halfway point on the trail to take a break from the brews and sample some hard ciders. Not from Mullers is Three Heads Brewing – a partner of CB Craft Brewers in Honeoye Falls, NY. Their brews have won local competitions and we always seem to find their vendors at craft brew events we attend throughout the year. We suggest you try their Tiger Blood IPA or their Rochester honorary brew, Rochestafarian Scotch Ale. 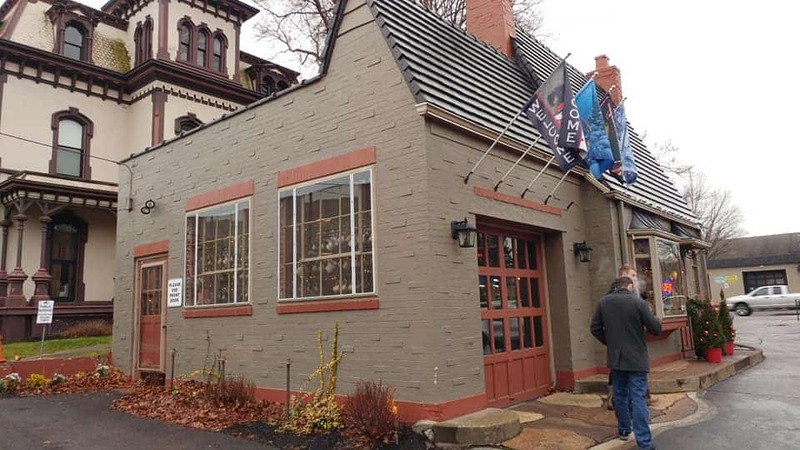 Rohrbach’s has been a Rochester favorite for over 25 years. Their beautiful brewery lies near a railroad track and hosts many events all year long. They have a Beer Hall with great food which they get their ingredients for from their neighbor, the Rochester Public Market. Their beer here in Rochester is special because you can only find it in Rochester, Buffalo, Syracuse, and small surrounding Upstate NY Areas and they pride themselves on their uniqueness. As many other breweries start, a few guys play with a home brewing kit and then bam, a brewery is born. 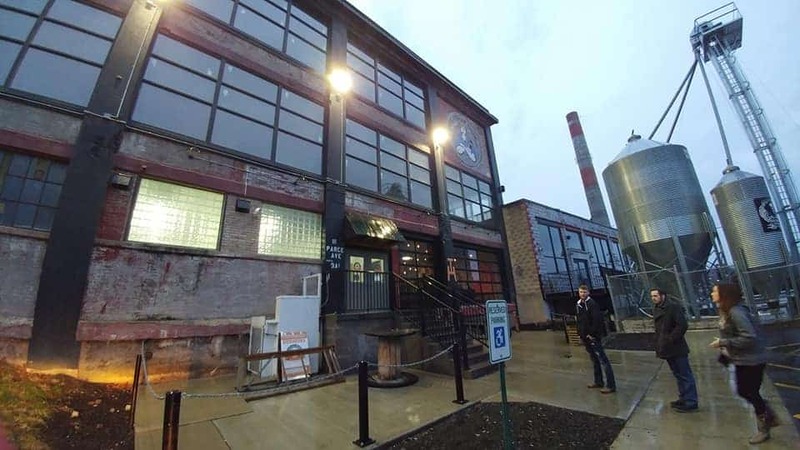 Roc Brewing Company is located in downtown Rochester and was created by a few RIT graduates and a culinary student after graduation. This brewery was started in 2011, which makes it one of the original craft breweries in Rochester. Enjoy their tasting room, food made to order, and the fun atmosphere both inside and out. When visiting Genesee Brewery, you may be taken back by the extensive history this beer has impacted on the United States. 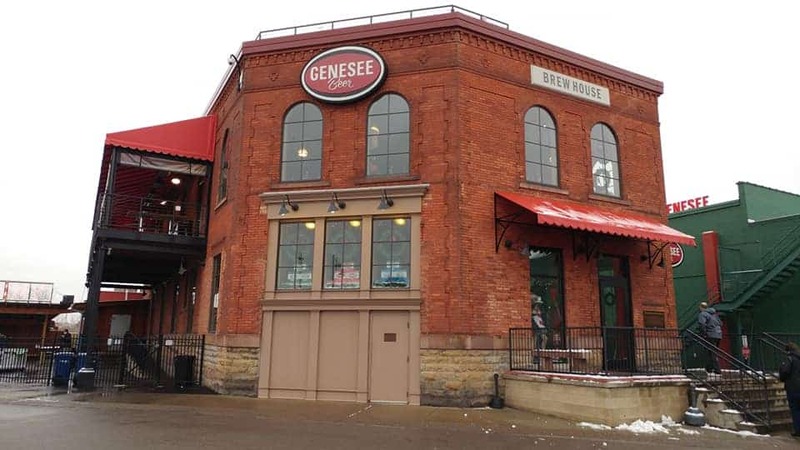 A popular choice made by all, Genesee Brews have been around for 140 years with their home being Rochester, NY. The Brewery and Brew House (Restaurant) is located next to High Falls of the Genesee River. And yes, they retrieve their water and beer from the Genesee River. We went and ate at their large restaurant overlooking the falls and enjoyed their fun atmosphere and delicious food. Try their famous Bourbon Barrel-Aged Stout or their Salted Caramel Chocolate Porter. They host many events like their most recent Keg Tree Lighting as well as the popular Roc the Falls day each year. If you enjoyed this post, be sure to check out our popular Dates in the States Wine Trail in North Central PA blog post. Print out the Wine Trail Scavenger Hunt and more only on DatesintheStates.com.